We came, we conquered…..and we were utterly ‘Mudnificent’! The KFA team conquered Tough Mudder Half, London South on Saturday 17th September 2016 and gave it their all!!! 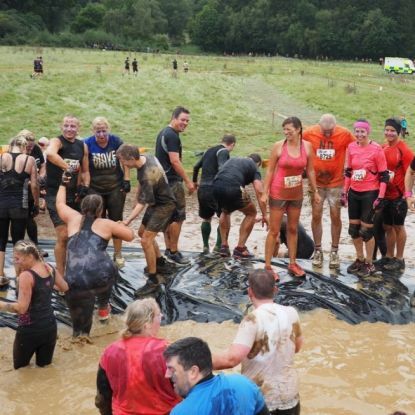 Raising money for Help for Heroes we manage to rope in friends, family (and even our kids to take part in the Mini Mudder), and many of us tackled our worst fears; heights, water, mud…and more mud! Between us, we have raised over £3,500.00 for this worthy cause and are giving serious consideration to doing it again next year! Our thanks to the friends and family who joined us on our mission and helped make the day a success and such great fun. We are proud to be supporting the ‘Child of Courage’ awards for Pop 4 Diabetes, who are celebrating their 10 year anniversary in 2016.